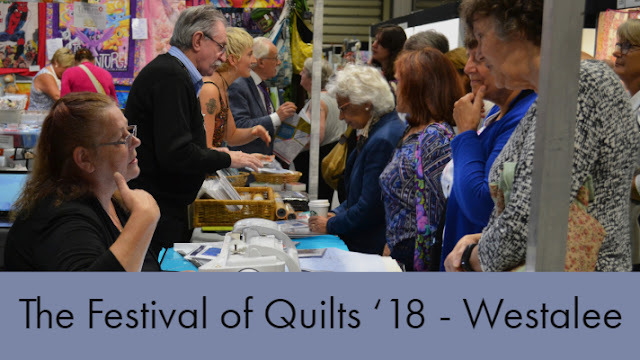 Day 2 was super busy at Festival so to give those of you reading this blog a feel for day 2 - here is a quick roundup. Mark (CEO of HandiQuilter) and Suzanne Hyland (Demonstrator and Educator from HandiQuilter) came over with Chad, their son, from Salt Lake City, Utah to show the new HandiQuilter 18" Avante Longarm Quilting Machine and the Sitdown 16" HandiQuilter. 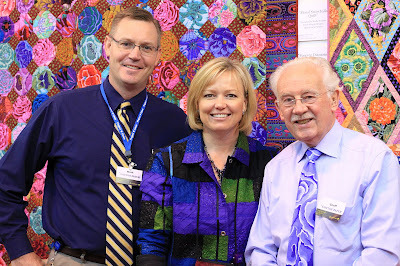 Here they are with Geoff Sewell, founder of The Cotton Patch. 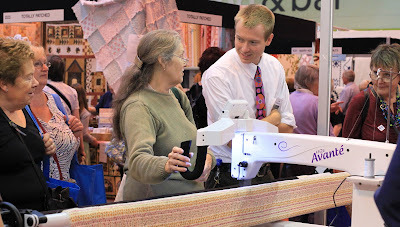 This is Chad with the Avante 18" Longarm Quilting Machine and Studio Frame. 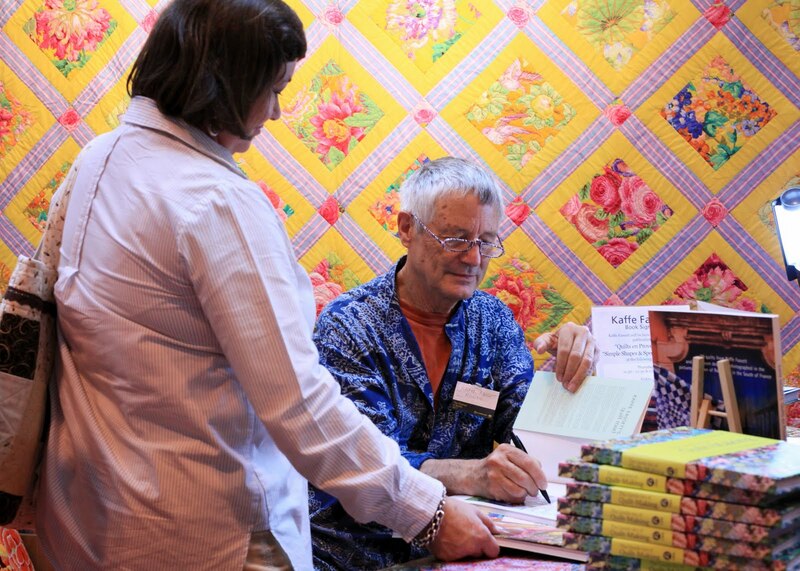 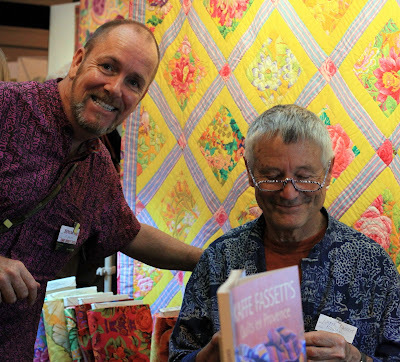 Jane Brocket signed copies of her book "The Gentle Art of Quiltmaking". Officially in my top 10 favourite quilting books list this is a book you can really sit down and read. 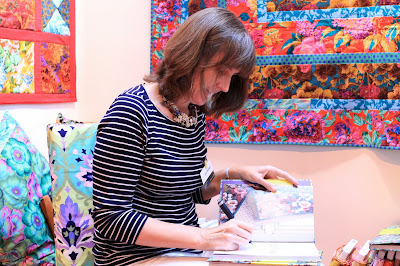 Its not a coffee table book and its not just a "how to". 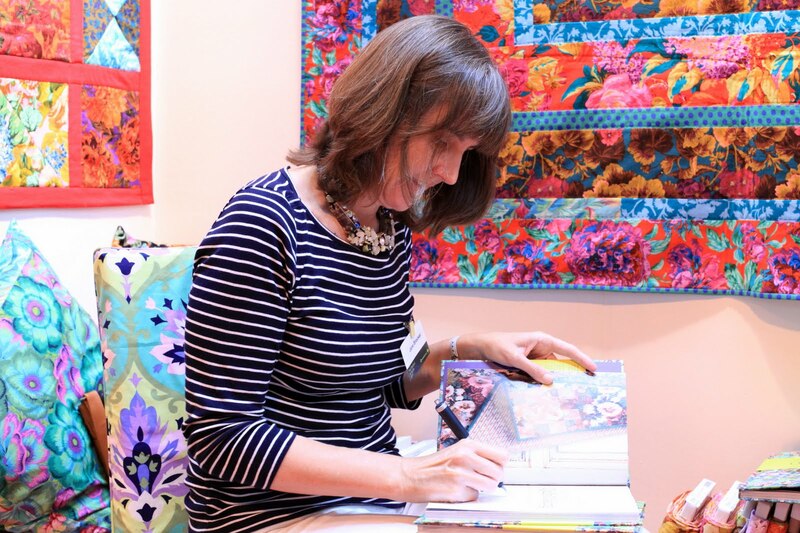 This book gives you a feel for what inspires Jane and more about the way choices of fabrics, colours and design are influenced by life experiences. 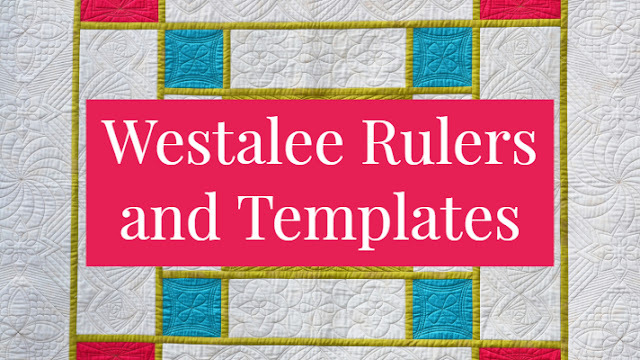 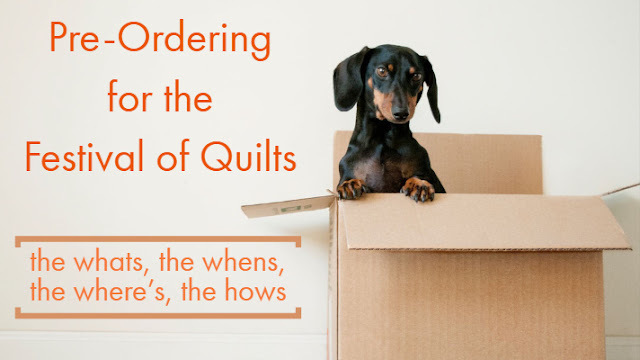 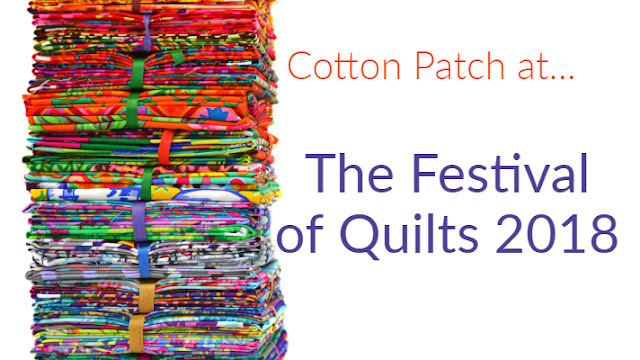 Taking the fear out of starting quilts , getting them made and finished in a spontaneous, creative way are some of the messages I picked up from my first reading (and I will be reading and re-reading this book many times). 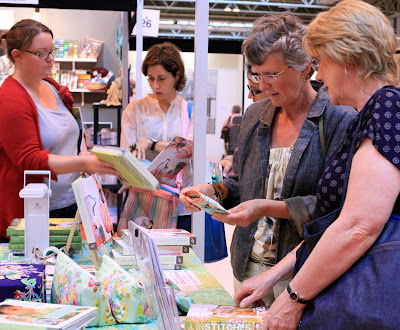 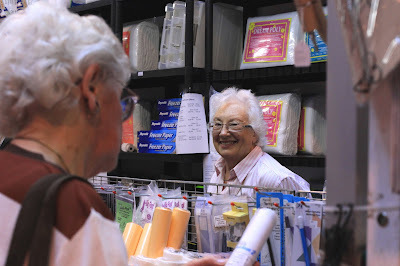 Jean Sewell, founder of The Cotton Patch, waiting for the next customer on the main miscellaneous products stand.